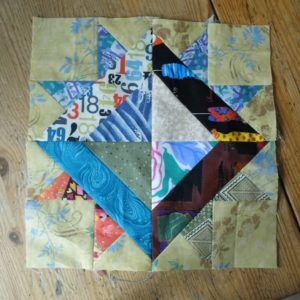 I did make a couple of blocks for the lotto this month, but not minding my scant seams closely enough, they’ve come up a little small, so I’m not going to offer them up. 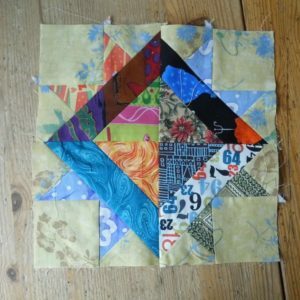 Still, it was a fun block, and one I might try again when I’m in the mood to de-stash my scraps… I do think I’ll think harder about the balance of the colours if I try them again, as I’m not convinced these work that well anyway, regardless of size. Blocks like this really make me think about the contrast in the adjoining pieces, which helps with other projects along the road.